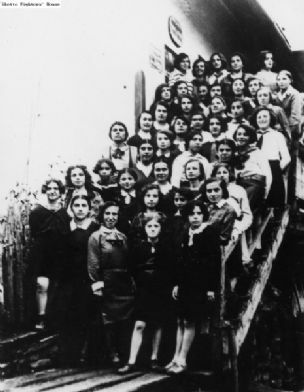 Summary: Jewish young women at a summer camp program in Rajcza in 1931. Possibly Bais Yaakov girls (Bnos had a summer program in Rajcza). Donated by the Kiddush Hashem Archive. Document Location: Ghetto Fighters House Archive. Item #30401.